I’ve never bought a game as fast and without a second thought as I did usTwo Games’ Monument Valley 2. I never expected a sequel and there was no warning of it, so when I saw it available I mashed that BUY button without even looking at the screenshots or description. I was one of those who loved the original but felt it was a little short and on the easy side. I was hoping for something with a bit more bite and the developers answered my prayers with the Forgotten Shores expansion. That, together with Ida’s Dream, is where I felt the game truly shined. In fact, I’ve lamented that I can’t just recommend the expansion on its own to those I know would appreciate the higher difficulty curve over the original game. To me, the expansion is everything I could have hoped for. 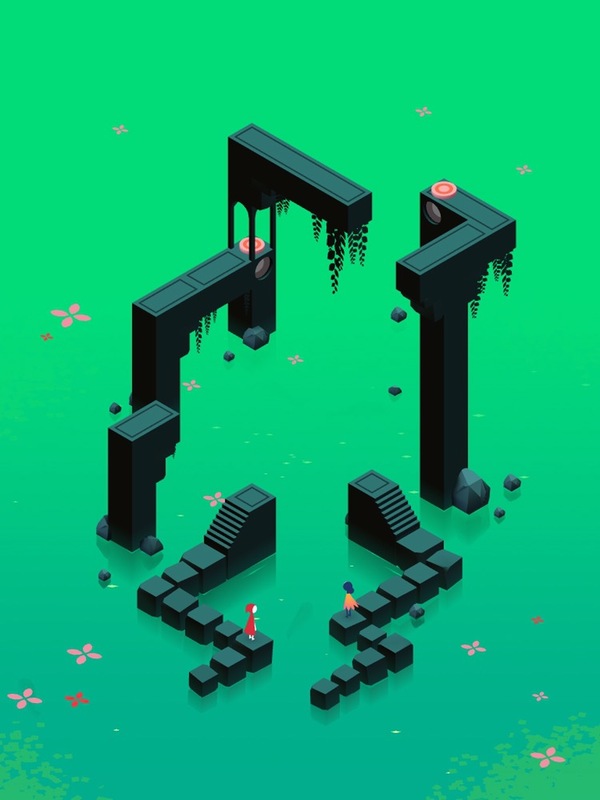 After Forgotten Shores and Ida’s Dream, I had very high expectations for the official sequel, Monument Valley 2. 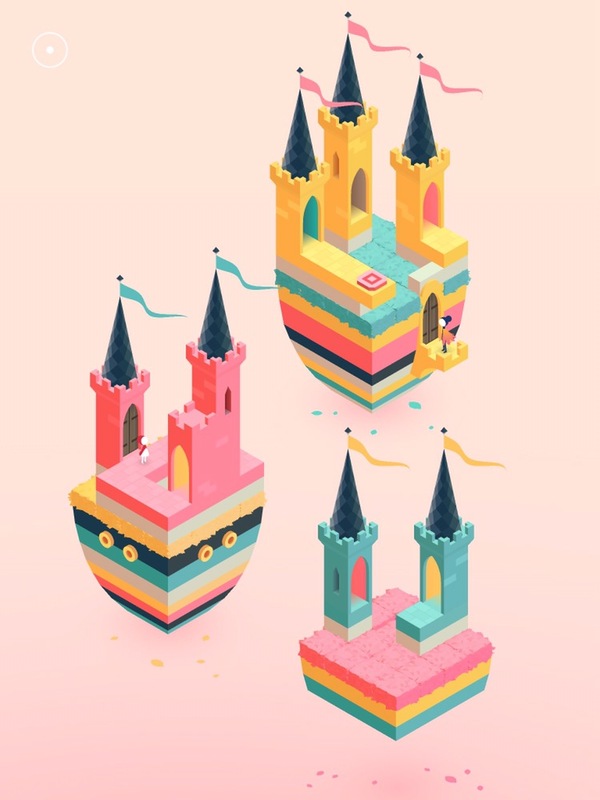 I was expecting it to blow my mind, especially since usTwo had sworn over and over that there would be no more Monument Valley. I figured that if they changed their minds, they must have something really amazing to share with us, something they couldn’t keep to themselves. I expected something on the level of Forgotten Shores, especially since I’m not the only one who was disappointed with the difficulty level of the original. Unfortunately, this is not what we got, and for me the sequel has been a bit of a disappointment. First, let me talk about the good, though. Monument Valley 2 is absolutely gorgeous. It’s breathtaking. In fact, it makes the original game look a bit washed out in comparison. The colors are vibrant — except for the darker, grayer chapters — and truly pop. There’s even some points where the colors slowly change. You might not even notice it’s happening at first, instead thinking “wasn’t that a different color before?” If you sit and watch it, you’ll see the change happening, but it’s so easy to miss. There are also new structures that resemble the Disneyworld castle. And there are new textures, such as shrubbery. 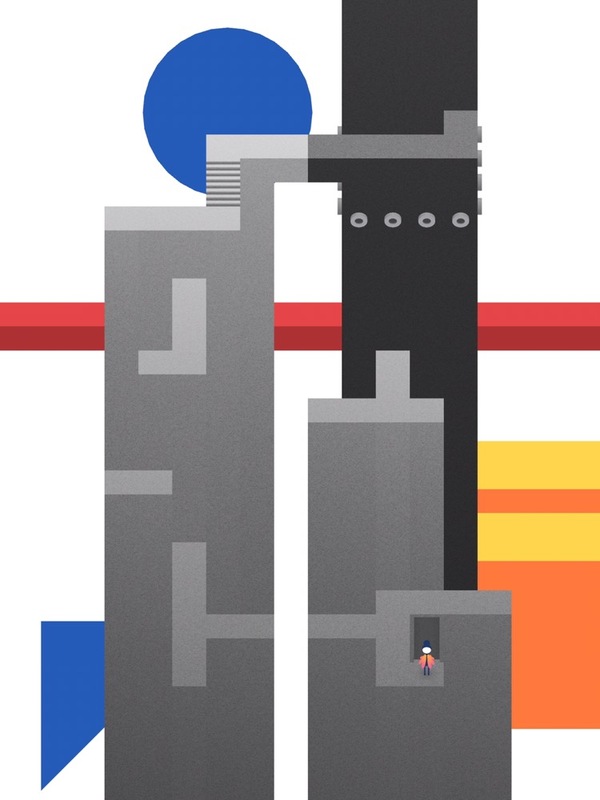 There’s also a level inspired by flat, abstract art. A couple of chapters do seem bland in comparison to the rest, but there’s no question about it — artistically, the game is inspired. It’s oozing quality and character. And it’s obvious a ton of love went into that part of the game. 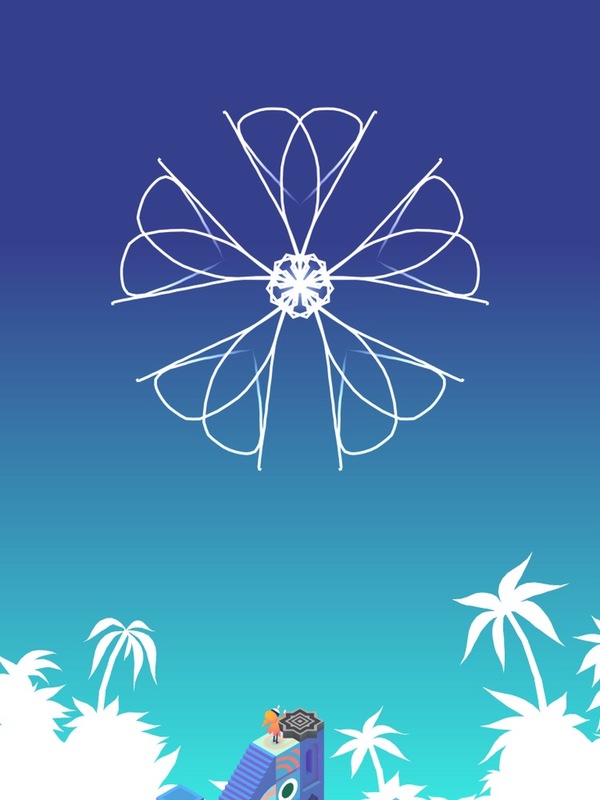 Another thing I love about the game is how at the end of most chapters, you get to create a design by pulling one corner of an intricate snowflake-like shape. It looks a bit like a flower, but it doesn’t always. In any case, it will look different each time you do it, making each one unique — like, well, a snowflake. It comes out of a hat, just like the shapes in the original. But this time you control what it looks like. And your design will remain on the level select screen until you play the chapter again and replace it with a new design. This was a really cool touch, and I wish the rest of the game had felt as innovative. I also should mention that getting to this point often felt slower than in the original. As though I spent more time watching and waiting than playing. That’s not to say there aren’t some new mechanics. Without spoiling too much, I will say that our beloved Totem returns — or, at least one of his relatives. And he has some new tricks up his sleeves, which I really liked. There are also trees that grow and shrink based on how much light you give them. And there are a few other mechanics, some related to playing with two characters, since this story doesn’t follow Ida, but Ro and her daughter. While some things feel like a reskin of older mechanics, others are genuinely new and fresh. I was excited to see them and couldn’t wait to see how they’d evolve. But therein lies the problem of Monument Valley 2. Every time you think “ah this is about to get interesting,” they abandon a mechanic and move onto a new one, before fully exploring the last one. That would be fine if they all eventually came together in the final chapter, but they don’t. The original game and its expansions had more levels that expand, open up into each other. Look at The Labyrinth for a great example. There is some of that here, but more often a puzzle will just fade out and a new one will appear. A lot of the magic is lost with that. Even though the final chapter had some continuity, it felt lacking. It was longer than the others, sure. And it had you controlling both Ro and her daughter separately, so there was potential for some really interesting puzzles. But instead, there were brief moments of pause, followed by mindlessly moving them each to the next button or through the next door. There was nothing like the Observatory from the original game, where you have to figure out how to get through three different doors, which each lead to another tricky puzzle before you come back and make your way through another door. 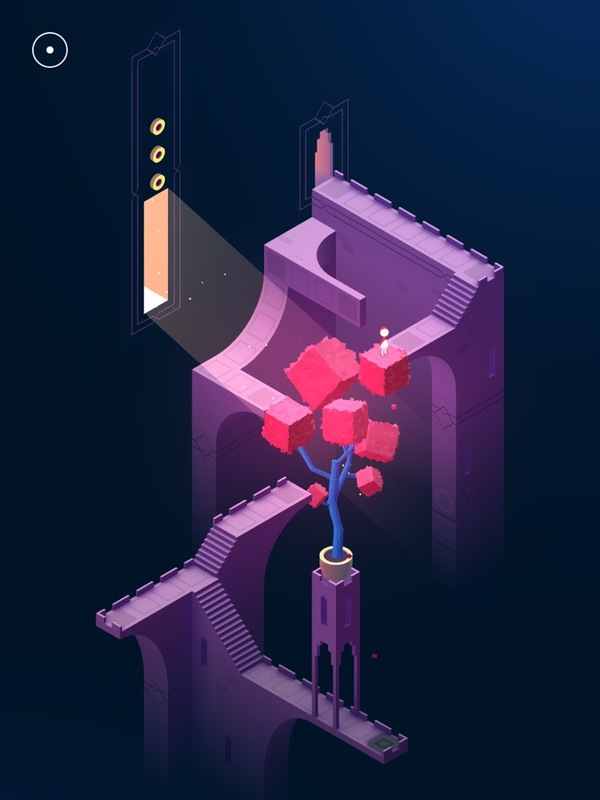 Like the entirety of Monument Valley 2, the last chapter is hyper-linear, leaving very little room to get stuck for more than a couple of minutes at the most. There simply isn’t enough to do in each puzzle. Most scenes didn’t require more than a couple of actions to complete and move on to the next one. When offered A or B (and occasionally C) as options, you’re going to breeze through the game. And while controlling two characters seemed innovative, many games have already done that in more creative ways. Even Monument Valley has, if you consider Totem a second character. Controlling Ro and her daughter at the end wasn’t that much different than using Totem to hold a button down in the previous game. Been there, done that. Only with Totem, it’s a lot more interesting. Introducing all these new mechanics into this world without fully fleshing them out just made the game feel rushed. The sequel does have a more straightforward story, and I think preference will depend on the player. I found the story about Ida and the crow people much more mysterious and interesting. And I miss the crow people! I did not relate so much to Ro and her daughter. I also found it confusing when others who looked like Ro joined in, or maybe her daughter changed clothing? Or there were two of Ro? Maybe I missed something in the story, but I thought it would be easier to follow along, considering it’s mostly about a child growing up and learning to do things on her own. I was also just a little bit weirded out by how the child’s Little Red Riding Hood cloak grew with her as she became an adult. That’s a super minor quibble in the grand scheme of things, though. I did like how the elders they meet this time around are different in each chapter, instead of meeting the same wise man over and over. Now, just to make sure all my criticism wasn’t coming from the wrong place, I decided to replay the original game, as well as the Forgotten Shores and Ida’s Dream expansions. I wanted to be sure that I wasn’t relying on my faulty memories when I compared them, but I also wanted to confirm that I didn’t just lose interest in the game as a whole, that I’m not just coming from a different place now and the magic just isn’t quite so magical for me anymore. But here’s the thing. I loved the original every bit as I remembered. Yes, it’s mostly easy, but there were a few points that I had to work through again even though I’d solved it a whole bunch of times before. The final chapter is especially tricky, with doors all over the place. I had time to appreciate both the artwork and the sound design while I was working out the puzzles. And Forgotten Shores — I can’t even express how much I love that expansion. 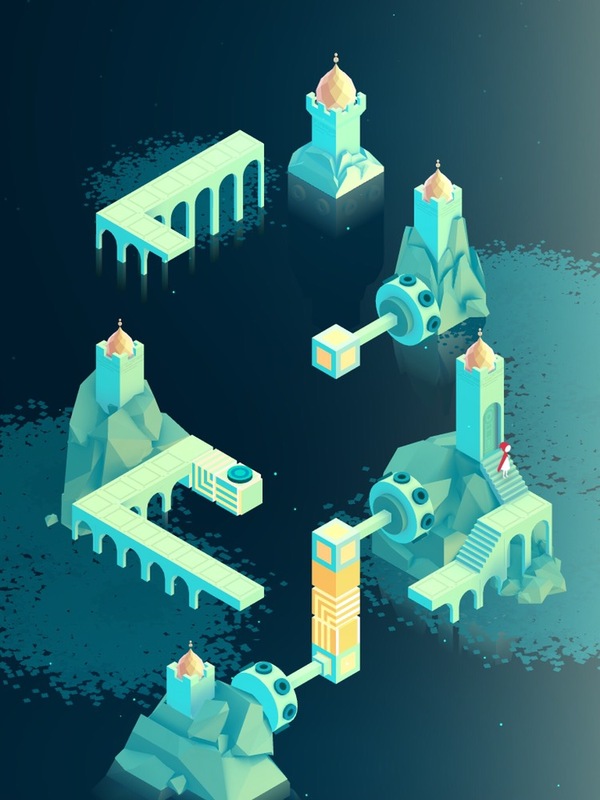 Even without the upgraded graphics from Monument Valley 2, that expansion is the series’ strongest point and I still wish it was a standalone game that I could recommend to folks. Playing it again after a long break was just as magical. The puzzles constantly made me stop to think. I had to spend time working them out. Replaying those eight chapters felt far more satisfying than playing Monument Valley 2 for the very first time. Even Ida’s Dream gave me more pause than anything in the sequel. And that really saddens me. In a world without Forgotten Shores or Ida’s Dream, this new game might have felt fresh and exciting. But since it comes after Forgotten Shores, I was expecting more of a challenge. Yes, the original was shorter and easier than we’d liked. But the existence of the expansion made me think that the developers understood this and would give us more of a challenge going forward. But it’s almost like everyone has actually forgotten about Forgotten Shores. I want to yell at the top of my lungs, “It exists! Don’t you remember it exists? !” Those wonderful, intricate, tricky puzzles felt like a true sequel. Monument Valley 2 feels more like something that would have been released alongside the original. Like Pokémon Red and Blue. Two games sharing some mechanics, branching out on others, and in the end offering almost the same amount of challenge. But as a sequel coming after the brilliant Forgotten Shores, I’d be lying if I said I wasn’t disappointed on some level. Part of me hopes that the developers were holding back so they can add a tougher expansion like in the first game. Perhaps they wanted to keep the first part approachable for everyone of all ages and experience. But another part of me would be annoyed if that’s the case, especially if it ends up being a paid expansion. Now, don’t get me wrong. I have no problem with paying for the game. But if the good stuff was held back to sell as DLC later, I’m going to be a little miffed. I thought they’d have learned from the first game that people wanted more — more puzzles and more challenge. I expected this game to pick up where Forgotten Shores left off, but instead it treats us like we’re still new to all this, like it’s an extended tutorial for an upcoming game. As I said, Monument Valley 2 is breathtakingly beautiful. Audio-visually, it makes the original seem dated. If you’re coming to the game for the sights and sounds and aren’t too concerned with level of difficulty or short length, by all means grab it. Enjoy it. It is something to behold, and you’re not going to find too many games that offer such eye candy. Creating the flowers at the end of each level is also quite special. But if you’re looking for some tricky puzzles to sink your teeth into, look elsewhere. Play the original and its expansions if you haven’t yet. If you have the money to spare and still want to buy this one, go ahead. But I don’t think it’s a must-have for puzzle fans in its current state. 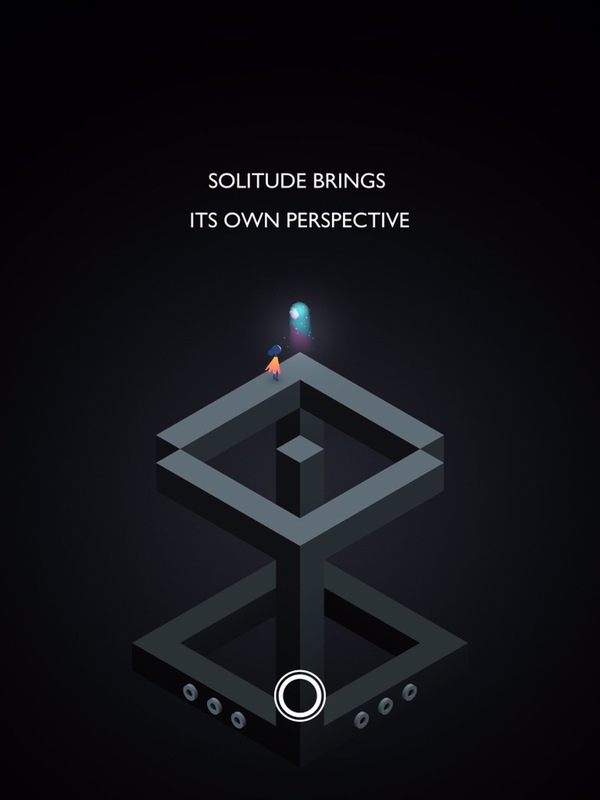 I’m not even sure it’s a must-have for Monument Valley fans. If you still want to play the game, you can download it here. And if you do get stuck, make sure to use my complete walkthrough guide. Yeah, I bought it immediately too! As soon as I saw it in your week unwrapped. I am trying to savor it slowly – and I am sorry to learn it won’t pick up as I progress. I bought it as soon as I saw the post, too, and I kind of regret it. For example, I loved the bit in the last level where you flipped between the two screens, one in day and one in the evening, but there was no more of that! And the toy box thing they had the first time around? Nothing in the same vein. And I’m the kind of person who NEVER buys things without reading reviews first. I agree. MV2 was very disappointing, and I didn’t think much of the story or the pseudo-mystical epigrams. I’ll have to replay the original.